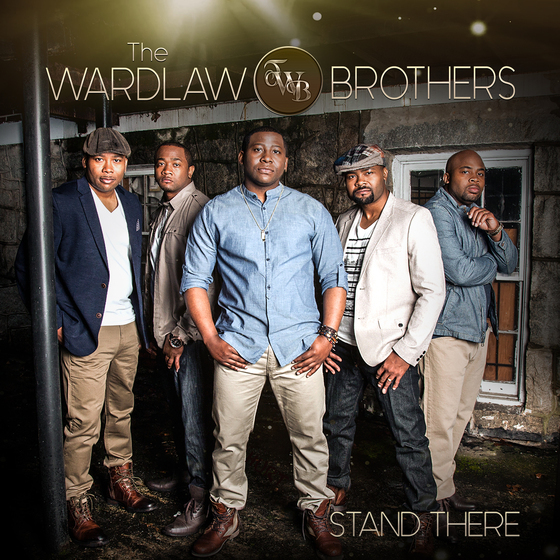 Lyons, GA — The Wardlaw Brothers (TWB) and their signature tight harmonies, smooth choreography and southern charm have captivated audiences world wide. Tony, Martin Luther, Jamie, Carl and Rodney are brothers with talent, showmanship and an undying love for God and God’s people. After five years of promoting their successful album GOD’S BEEN THERE, and writing and recording new music, the brothers from Georgia are ready to release their long awaited new album STAND THERE. TWB has been a mainstay on the Gospel and Christian radio charts with hit songs “Right Now Lord”, “Thank You”, and “God’s Been There”. They have continued the streak with new singles from their forthcoming 2018 album. “Come Through” and “Highest Praise” are the new hits from STAND THERE and their current single “God Has Kept Me” has entered into the Billboard Top 30 Gospel Radio Chart. “God Has Kept Me” continues to climb and is trending Top 25. Their soulful song has also garnered over 100,000 streams across all streaming platforms. TWB’s STAND THERE album features guest collaborations with Gospel music royalty Dorinda Clark-Cole on “Highest Praise” and Grammy®, Dove and Stellar Award winning songwriter Fred Hammond on “Heaven”. STAND THERE album will release May 18 via TWB Records with distribution provided by New Day Distribution/Sony Red and marketing powered by The Bellamy Group. The brothers are once again hitting the road criss-crossing the country to promote the STAND THERE album this summer. TWB are set to kick off their promotional tour by taking over Gospel radio all day on May 18 at WNRR Radio (Augusta, SC), WTHB Radio (North Augusta, SC) and WAAW Shout 94.7FM (Aiken, SC). Their STAND THERE official album release concert will be held on May 19th at Good Hope Missionary Baptist Church in Augusta, GA. Fans can pre-order STAND THERE starting May 4 and check www.TWB5.com for more tour dates and cities.